The Pigeon Forge Police Department consists of sixty-six (66) employees. Fifty-four (54) of these employees are sworn and certified officers with full arrest powers. Nine (9) employees are assigned to communications, and three (3) are in the records division. Of the fifty-four (54) certified officers, four (4) are administrative officers, including the Chief, Captain, Training Sergeant and Operation Support Sergeant. Three (3) Lieutenants serve as Watch Commanders for their respective shifts, and oversee both Patrol and Traffic Division functions. Forty-One (41) officers are assigned to the Uniformed Division, which is comprised of three (3) Sergeants, six (6) Corporals and thirty-two (32) uniformed officers. Six (6) officers are assigned to the Criminal Investigation Division, which is comprised of a Lieutenant that serves as the CID Supervisor, three (3) investigators, one (1) crime scene technician, and one (1) uniformed officer. Officers may also be assigned to the Drug Task Force and Street Crimes Task Force. 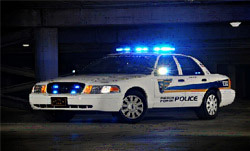 The Police Department has thirty-six (36) marked and fully equipped patrol cars, eleven (11) marked and equipped motorcycles, five (5) marked and equipped four-wheel drive vehicles, six (6) marked and equipped bicycles, one (1) marked paddy wagon, one (1) crime scene unit, and nine (9) unmarked units. In January 1992, Pigeon Forge Police moved into a new facility. 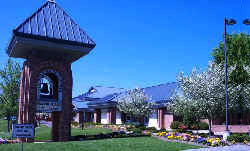 The 12.5 thousand square foot building houses a state of the art communications center, a fully computerized records section, complete training facilities, evidence processing facility, court rooms, and one of the state’s most complete physical conditioning centers. The City of Pigeon Forge, located in the foothills of the Great Smoky Mountains National Park, covers an area of approximately twelve and one-half (12.5) square miles. The permanent population is 6,119, with a transient population of up to 45,000. In 1999, more than 11 million people visited Pigeon Forge. Tourism is the city’s sole industry. The sixty-six members of the Pigeon Forge Police Department, as well as all city employees, enjoy a wide range of benefits provided by the city government. Employees are afforded full family coverage Blue Cross /Blue Shield health insurance, including a dental plan and life insurance is provided for the entire family. Applicants to the Pigeon Forge Police Department must be twenty-one years of age (eighteen years of age for non-certified positions), have a high school diploma or equivalent, and possess or be able to obtain a valid Tennessee driver’s license. The application process includes a written examination, an oral interview, a medical examination, a psychological profile, and physical fitness test.